I just realized (at 1:54 pm) that the weekend is over, and I haven't caught up with Susan's photo challenge! Guess I'd better get off my keester and get going! It was really, really yummy! You can find the recipe HERE. I'll have to do more catching up tomorrow! Thanks for stopping by! What a lovely pictures. I love Christmas sweaters!! Glad you had a family get together BEFORE the craziness of this week!!!! I envy you and your sisters for having each other!!! For some reason, holiday drinks really appealed to me this year. Not being able to partake in the loaded ones, I'm making copies of these types of recipes I want to try next year :) Thanks for sharing! P.S. Beautiful sister picture, Mary!! Since you were doing catch-up, I did too -- I just went back and caught up on your blog. My favorite part is all the great artwork the kids at your schools are doing. I have to admit though, the photo of you and your sisters is awesome. All those girls and you still love each other! IMPRESSIVE! 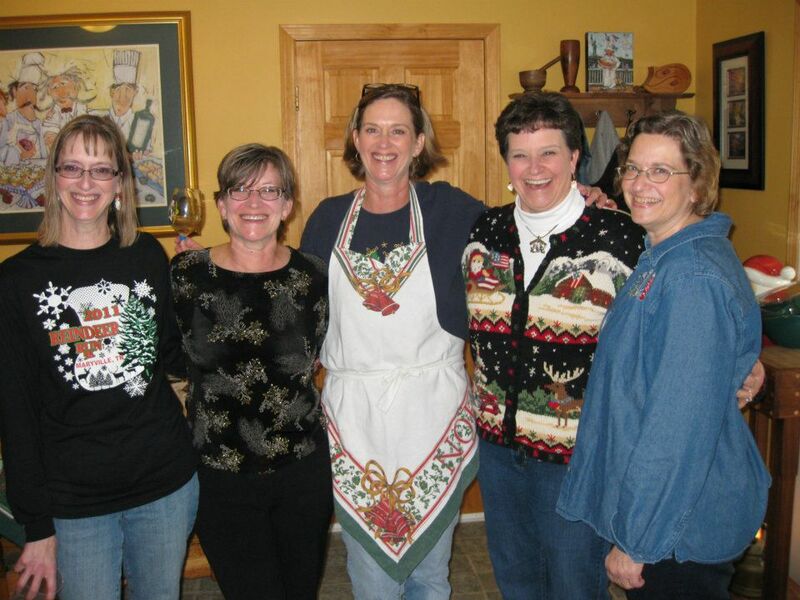 Glad you were able to get together with your family ... what a lovely photo of you and your sisters!